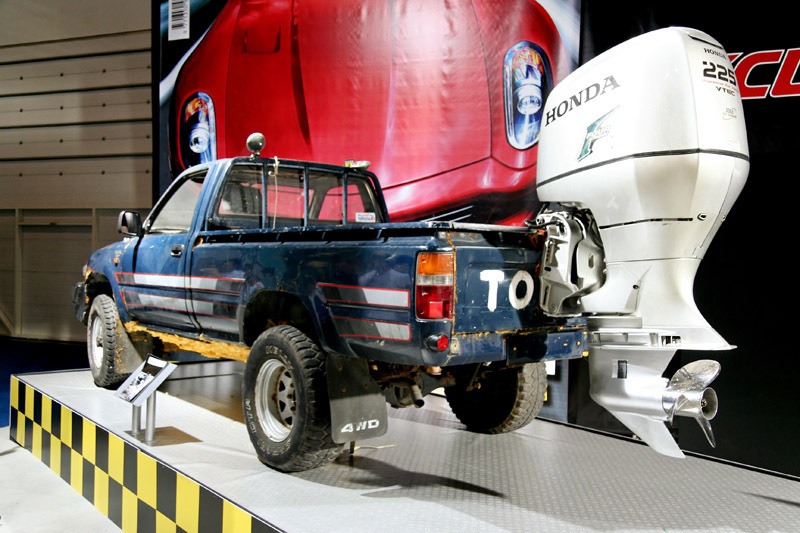 Mounting an outboard on your truck...Now with pics. Hey all. Looking at getting a car topper and wondering what's the best way to carry the motor. Will be getting a 15 hp Yamaha and would like to mount it on the rear of the Cruiser. Any one got any ideas or pics ? Last edited by mudjunkie on January 4th, 2013, 3:40 pm, edited 1 time in total. Hey Chris, if I remember rightly that one didn't work too well, the Lux couldn't get up on the plane! You might need something a bit bigger with a power Tilt & Trim to do that! 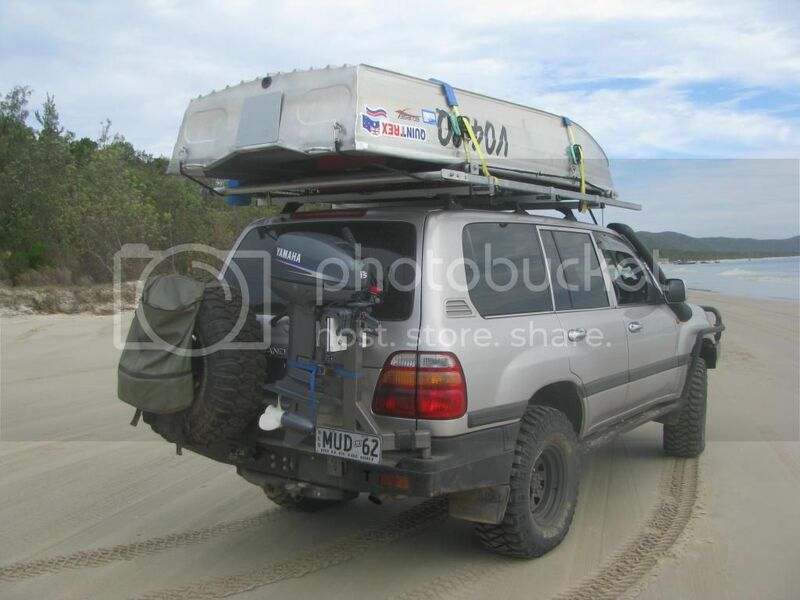 Altho a lottle closer to the topic.... Mudj, I've seen a few vehicles with replacement rear bars carrying a single spare instead of two, leaving the second arm to carry a plate that the outboard mounts onto just like it mounts onto the transom of the tinny. 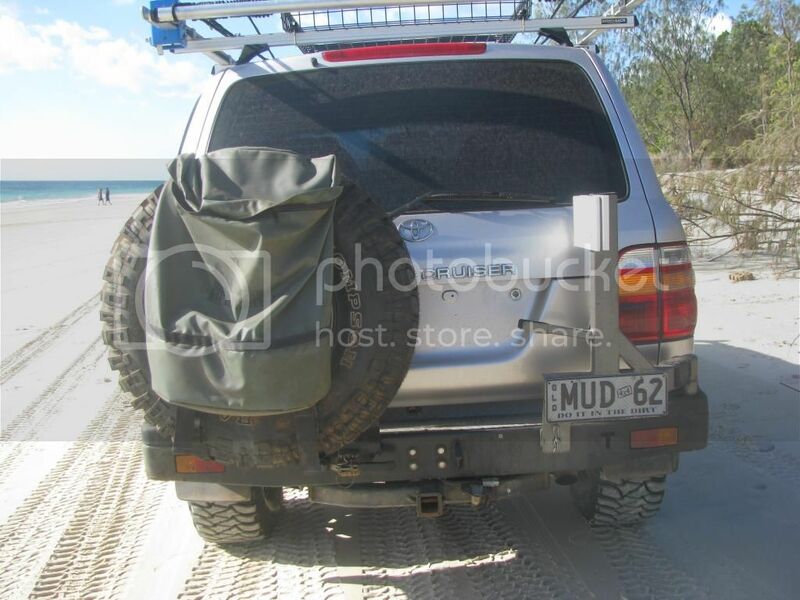 You got a Spare Wheel Carrier back there? Heavily modded motor and PTO to stern drive is all ya need (and a good snorkel). 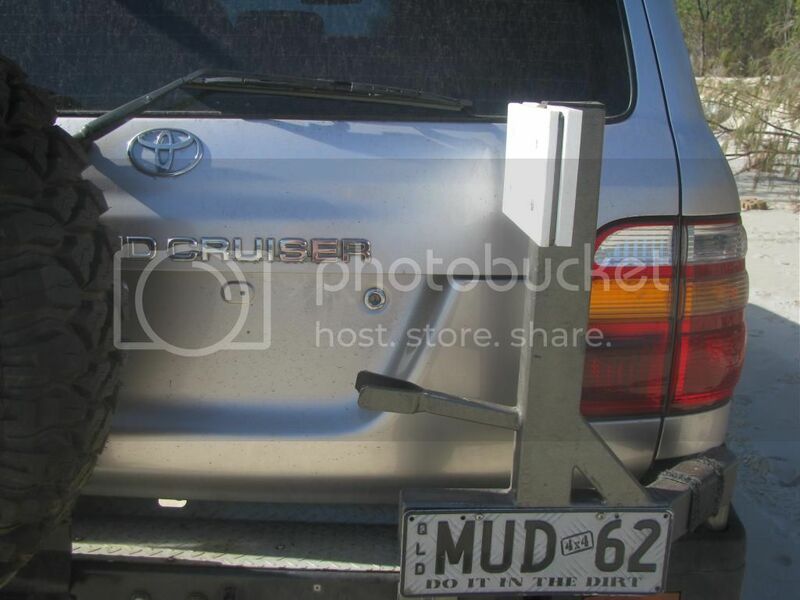 i think the rear swing out holder is about your best bet. weight wise the 15 wouldnt be to bad would it. i had an old school 15 evi long shaft and remember having to clench my ring when carrying it. i have a 8 yam short now and that wouldnt be any heavier than a 31 on a steel rim. i think the biggest thing is supporting it enough against bounce and vibration. i would tie it back so it doesnt bounce on its hinge and wrap it up against dust etc. i think the plate mount with extended drop down support with a u shape cradle to tie the leg back into would be best for long trips. i wrapped mine up in a blanket on a recent fraser trip and tied it down to the back seat floor with the seat folded up. 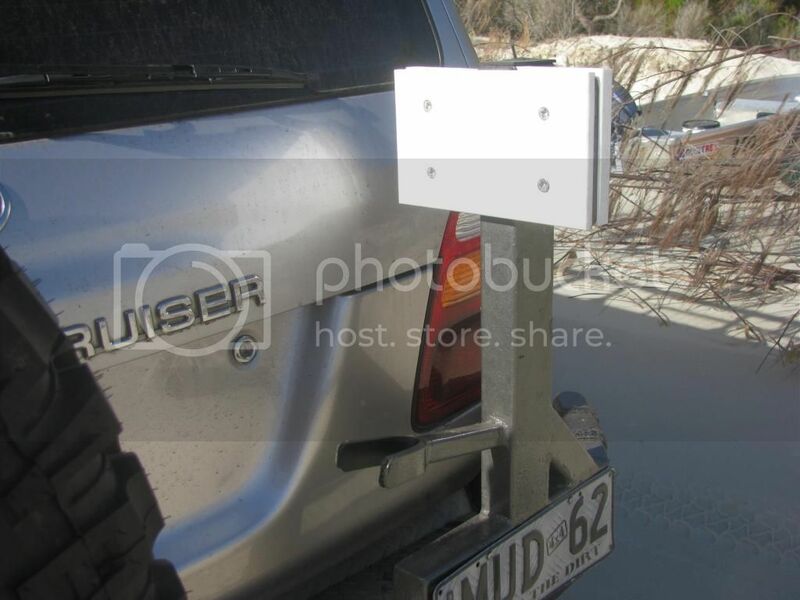 Re: Mounting an outboard on your truck...Now with pics. Love it ! very clever ! how was moreton? Weeellll, looks good mudjunkie, but it's never gonna drive the vehicle thru the water like that! 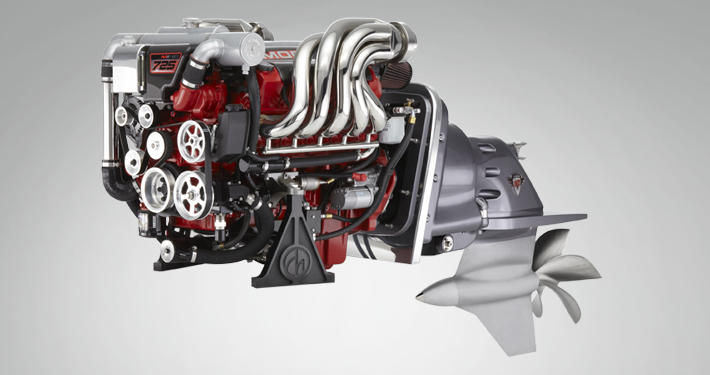 You'd hafta swing it out & lower it a fair bit for it to give you any drive once you are in the water, and I can't see how that mount will do anything successfully but carry the outboard when you're driving? Looks pretty good for what it is tho! No bad vibrations back there while you are on the dirt etc? What do you need to do for the mounting pad? I'd use insertion rubber glued onto the 'v' down the foot end to minimise the wear & tear on the motor casing; maybe overkill, but it seemed to work for me.